in Yazoo City, MS and surrounding areas. 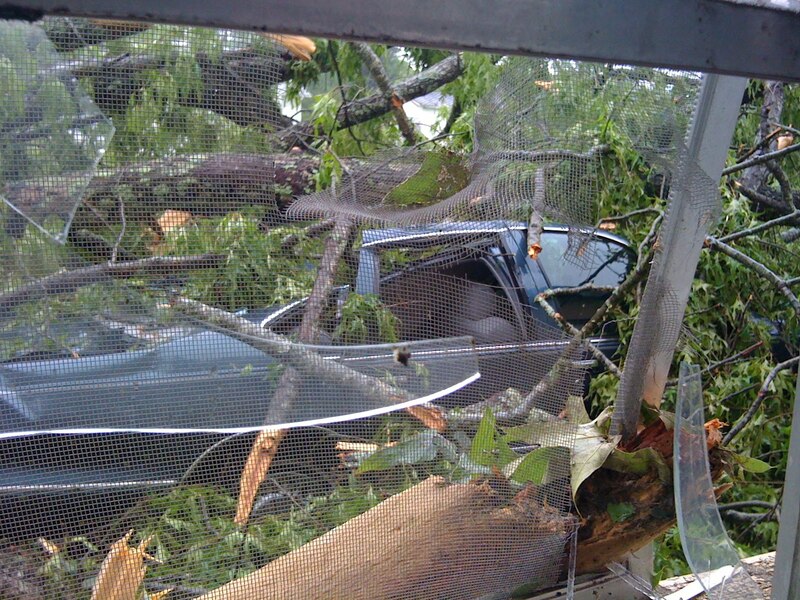 This weekend, the city tornado warnings went off five times in twenty-four hours. Kate and I were at the neighbor's brick house once, a little sturdier than ours here, and up at 4:00 a.m. this morning watching the news to see if we should move again. We got lucky here in Ripley--power poles down, a quickly contained gas leak, a few roofs off--but, two small towns near here were hit. 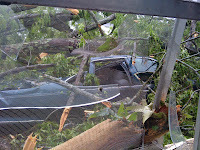 A tree fell into the corner of the house of some of our parishioners, crushed their car, but really they were so lucky. The couple was in Chicago, so we moved furniture and put a tarp on their roof until they can make it back tomorrow. 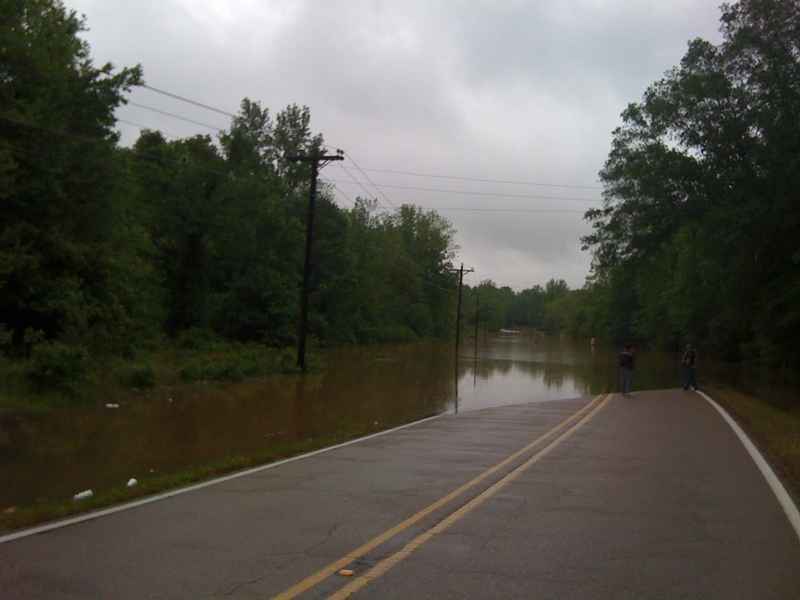 I think the severe weather is past, but flooding continues to be an issue. No school tomorrow, so I'm headed first thing to help translate as best I can for a Spanish speaking couple whose trailer was damaged who have an appointment to talk to the insurance agent. Then out to see where I can help. These sorts of things really make me realize how connected we all are. Sometimes when the disasters are far from home, it is easy to stay removed. These days it is easy to feel with those on the coast awaiting the oil spill, those in Haiti still without housing, those in places of war, etc., etc. Keep the prayers coming, for here and everywhere else. We are indeed all one. I am glad you and Kate have been safe during the storms. 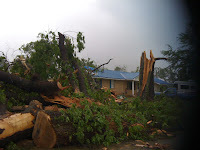 The pictures show the reality of such storms. 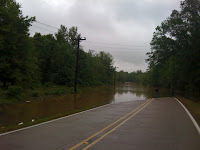 A day off of school can be fun but sometimes not for the reasons that cause such damage to so many people and places. I am thankful you are both safe and able to help others. Insurance can be hard to decifer even when it is in your own language!...I'm sure you will be a help to that family. ps - I am jealous about the armadillo...the only ones I have seen have been Hwy 44 roadkill! It is easy to say "we are all one", but the living is much more difficult...when people you love cast you out of their lives as though you were a piece of trash...when it is so easy to "defriend" someone from facebook for a disagreement. I wonder if humanity had it easier living your sentiment before the Industrial Revolution. When we lived in one place our entire lives, it forced the resolution of differences, and made it so much more difficult to turn a blind eye to a neighbor's suffering. Maybe the Christian witness of stability, rootedness, family-life and faithfulness is more desperately needed in such a mobile world.